Have you ever noticed how different a smell can make you feel. A scent can be so powerful it can change your mood instantly, it can bring back old forgotten memories, both good and not so good, it can trigger feelings such as anger, happiness, fear, strength and courage, even self esteem. Practically any emotion that needs addressing can come to the surface with the sense of smell. It was only recently I had a healing session myself with Chakra aromatherapy oils. It was like the aroma took me on a magical holiday, then into a deep relaxed state reminding me that it’s ok to stop, slow down and take time out for myself. For that reason alone, I love working with essential oils within my Kinesiology sessions, the oils bring so much more depth to the session. Even when someone is having trouble connecting with the smell, the oil gives both myself and my client a great deal of information to work with and clear within the balance. The best thing about choosing an oil to use within a kinesiology balance is that your body choses it for you! That’s right, using kinesiology muscle monitoring within the context of your balance we determine which oil is the right one for you in relation to what you’re working on at the time. 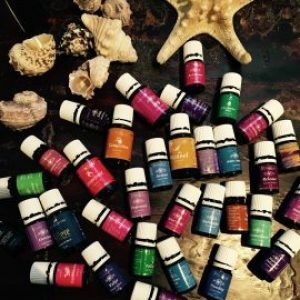 So whatever you’re working towards, whether it’s managing and shifting your anxiety or depression, gaining more confidence, letting go of anger or frustration, feeling calmer in your everyday life, basically any emotion that needs some care and clarity within you, an essential oil can address it used in the right context. Together we can find out how we’re going to use the oil within your kinesiology balance, it could be for you to smell, maybe a few drops on a meridian acu-point or a particular area on your body, palmed through one or more of your chakra’s or in your auric field. Again using kinesiology muscle testing your body chooses what the best and most effective method is for you. I work with many different oils, both blends and singles and I really can’t say I use one more than another, of course there are some I like more but as it’s your body that choses the oil for the balance I have no say in it. I do love working with the feelings range of oils and there are other oils which are great for clearing the mind, which are really good when you suffer from anxiety or just can’t get out of your head. Start paying attention to how different smells can make you feel – you could be quite surprised at the results. Have fun! Valor – this is an empowering blended oil (spruce, rosewood, frankincense & blue tansy) that helps you to connect with your inner strength, it’s great for kids as it is renowned for its protective qualities. It is said that it can also help self correct balance and alignment. I use Valor all the time with my little boy, especially when he’s over tired or unwell. Envision – Love, Love, Love this oil (spruce, orange, sage, geranium, lavender, rose) it’s said to stimulate creativity, encourage faith in the future and offers emotional strength helping you achieve your dreams whether big or small. It definitely gives me a helping hand when I need to access my creative skills. Believe – Wow, even the most confident of us need a bit of self belief from time to time. (Balsam fir, Idaho, frankincense, bergamot, geranium, coriander, ylang ylang). This oil is great for everyone but especially for people who need help overcoming feelings of despair boosting them to a higher level of awareness, connecting them with their own ability to realise their unlimited potential. And yes you all have amazing potential whether you believe it or not! Forgiveness – We all know that holding on to stuff doesn’t help us any but sometimes we still have trouble letting go none the less. (Melissa, angelica, bergamot, geranium, lavender, ylang ylang, frankincense, lemon, palmarosa, jasmine, helichrysum, sandalwood, Roman chamomile, rose, coriander). The main thing about forgiveness is to go easy on yourself – forgive yourself first everything else will follow. This oil really helps you to let go, let go, let go of all those negative emotions that you don’t need. Grounding – We all get a little off balance from time to time and that’s when this oil really comes in handy. (white fir, pine, angelica, spruce, cedarwood, juniper, ylang ylang). Recently I’ve witnessed it at it’s best when a friend rolled his ankle – the pain was unbearable for him causing dizziness, a few sniffs of the oil brought him right back into the moment. Inner Child – This a sweet fresh innocent scent (orange, jasmine, spruce, tangerine, sandalwood, neroli, ylang ylang, lemongrass). This oil helps put you in touch with your authentic self allowing you to connect to memories and balance your emotions surrounding these memories. This oil is really effective helping to clear past childhood trauma. These are just a few of the oils that may come up within your kinesiology balance.